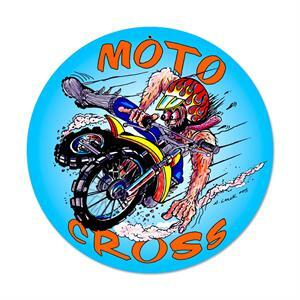 Motocross tin sign is great for dressing up your shop, or man cave. Vivid colors, crazy rider, that's what motocross is all about. This very heavy powder coated steel sign measures a very large 14" in diameter, so make sure your wall can handle it.